Mansion Poker and UK PokerNews have teamed up to provide players with one of the best value deals found anywhere! 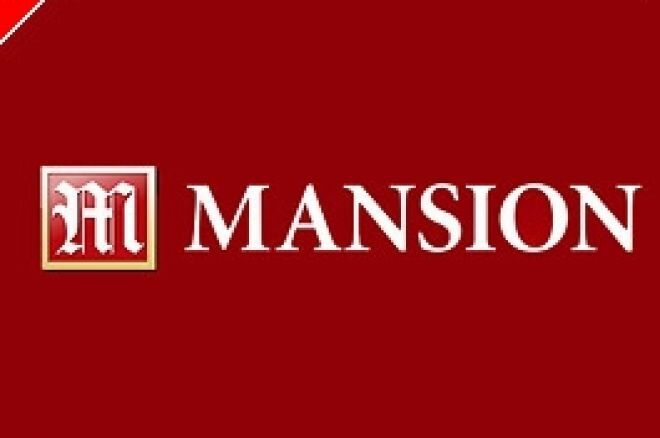 Now Mansion Poker are running a new tournament schedule that includes $5000, $10,000, $20,000, $50,000, $110,000 and $150,000 guaranteed tournaments they have decided to provide UK PokerNews players with an exclusive offer to celebrate. MANSION Poker are giving UK PokerNews players an exclusive chance at winning one of 40 free seats to the $110,000 Guaranteed Tournament on Tuesday the 4th of September at 20:00 GMT. That right, a $100 tournament entry totally free. All you have to do for a chance at winning an entry into this tournament is be one of the first 40 players to make a deposit over $20 between 00:00 GMT Monday August 20 and 23:59 Monday August 27. This magnificent offer is available to UK PokerNews players only. All winners of the 40 tickets will be notified on the 28th of August and have their accounts credited with a $100 buyin for the September 4th $110,000 guaranteed tournament. This offer is only for the first 40 players so be prepared to deposit quickly at 00:00 GMT on Monday the 20th of August. This is a fantastic opportunity to take part in a high quality event for free! If you deposit and miss out on this great offer then don't worry. The Mansion Poker guaranteed events are running daily and have satellites running for as little as $1. As these tournaments run so frequently you will always have a shot at one of the big guaranteed tournaments from just a few bucks. Ed note: Join Mansion Poker today and get ready to deposit after Midnight on Monday. Don't forget there is a $500 deposit bonus for all UK PokerNews players too. Brazil Online Casinos: What Are the Best Casino Sites in Brazil?